Slow cooker or Crock-Pot meals are a life-saver for many on-the-go individuals who enjoy home cooked meals but are continually out the door. Most recipes allow you to throw everything in the pot in the morning, turn it on, go to work, take the kids to soccer, walk the dog and then return to a home smelling of a 10-hour slow cooked roast. 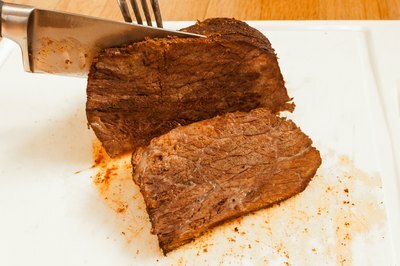 Rump roast is a prime cut of beef, and cooked at a low temperature for a long period of time, it tenderizes to an almost buttery melt-in-your-mouth consistency. 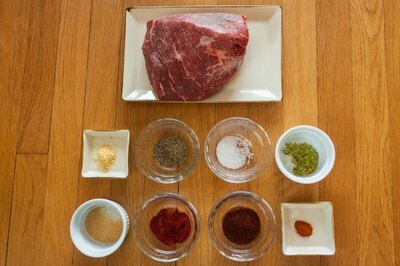 Prepare the rump for the cooker by mixing a spice paste: combine 1 tbsp. ground black pepper, 1 tbsp. paprika, 2 tsp. 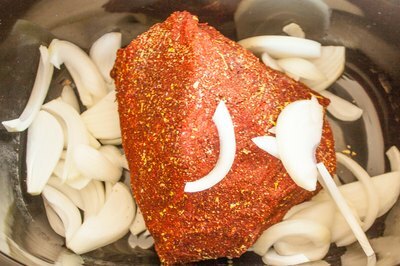 chili powder, 1 tsp. salt, ½ tsp. cayenne pepper, ½ tsp. garlic powder, 1 tsp. dried basil and ¼ tsp. mustard powder. Rub (deep) the rump with the mix, and set aside. Peel, quarter and slice one large onion. Layer half of the onions on the bottom of the pot and place the roast on top (you can cut it in half if your Crock-Pot is too small). Layer the rest of the onions on top, and pour in ½ cup of water. Make sure the meat is not covered but half-way submerged. Replace water with an alternative “juice” for a variant flavor if you desire. 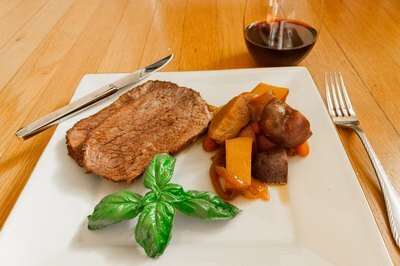 A rump pot roast is very versatile and can be made to a variety of cuisine flavors. Consider replacing the water with 1 ½ cups tomato marinara sauce, barbecue sauce or soy and chicken broth. Place the lid on the Crock-Pot and cook on low for eight to 10 hours. 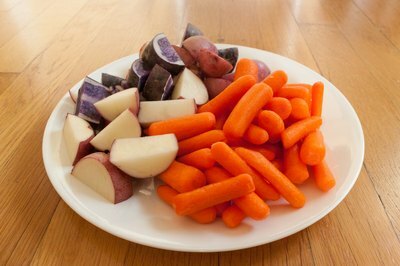 After about four hours you may add sliced potatoes, carrots, celery or cooked beans if you so desire. Carve the roast across the grain, and serve with the vegetables (if any) that were cooked alongside it. 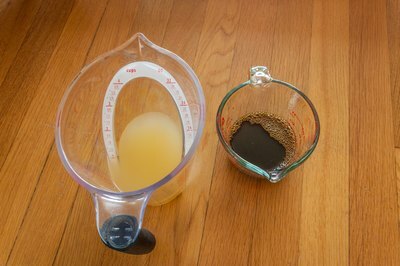 Skim the fat out of the liquid left in the pot to reserve juices, and serve the juices as a gravy (mix with a thickener like corn starch) or top the roast off with fresh basil or parsley. Red meats are hearty, therefore when pairing a wine, move toward an equally robust red. Whites and sweet red never mix with beef. For a rump roast consider a deep Merlot. The Slow Cooker Bible; Louis Weber; 2005.